New York Times Magazine writer Nicole Chung recently wrote a moving essay on the importance of representation, “What I Learned From Kristi Yamaguchi.” In it she explains what it was like to be an adopted Korean girl “growing up in one of the many towns in Oregon that is not Portland, which meant that everyone who cared about [her], everyone [she] saw around the neighborhood, everyone [she] met in my day-to-day life was white.” But, thanks to Yamaguchi, there was a turning point—a “sudden, unexpected gift” that not only lifted her spirit in the moment, but that also taught her an important and lasting lesson about identity. The night I watched Yamaguchi win Olympic gold was one of the happiest of my young life. In the weeks following her triumph, I became increasingly aware of a wish I’d long harbored: to be seen — not as a bookish outcast or a sidekick-in-the-making, but as someone with power and potential of her own. While I knew I wasn’t going to be an Olympian, I had other dreams. I was always cramming spiral notebooks with tales of sharp, spunky kids solving mysteries, outsmarting grown-ups and saving their friends. The characters I invented usually shared some of my interests, my mannerisms, but until now they had all been blond and blue-eyed, because that was the sort of girl I used to dream of being. After the Albertville Games, I started a story about a new character, and for once I didn’t have to stretch or struggle to figure out who she was or where she came from. Inky-haired, dark-eyed, unapologetically brilliant, she was my first Asian-American protagonist. It’s a sentiment echoed elsewhere in media, such as when Lupito Nyong’o addressed representation in 2014 after winning the Best Breakthrough Performance Award at the 7th annual Black Women In Hollywood Luncheon, pointing to The Color Purple cast as an “image of hope” and the representation she needed on her path to self-acceptance. And while it’s uplifting to hear stories like this from accomplished women, Chung points out there’s still a long way to go. 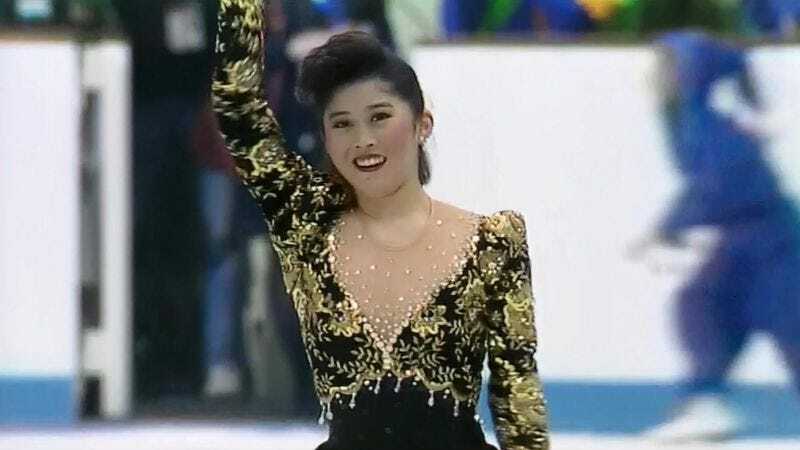 My childhood devotion to Kristi Yamaguchi was all the more fierce because the full burden of my pride and loyalty — which I might have split among a dozen, a hundred Asian-American role models if only I’d had them — was focused on her. Today, I can’t help but want more exemplars for kids like mine, whose sense of self-worth should be free to develop without the sting of such scarce representation. We should all have more heroes from whom to choose.